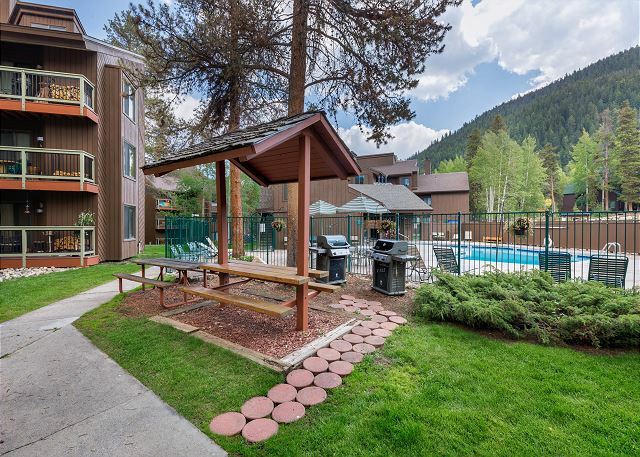 This beautiful vacation rental is under new ownership and new to our management program. 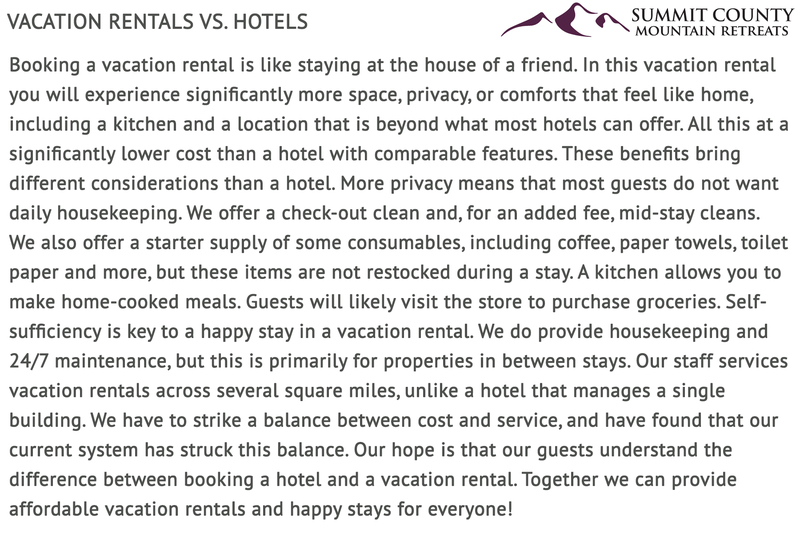 It has a versatile set up making it ideal for a large family, multiple families, couples and friends’ getaways. 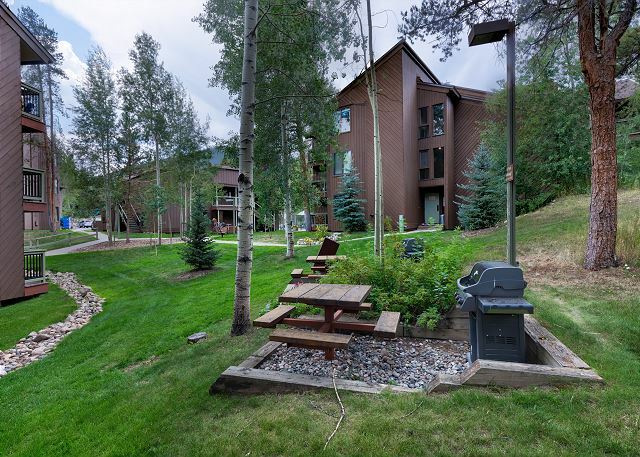 We hope to see you in Keystone soon! 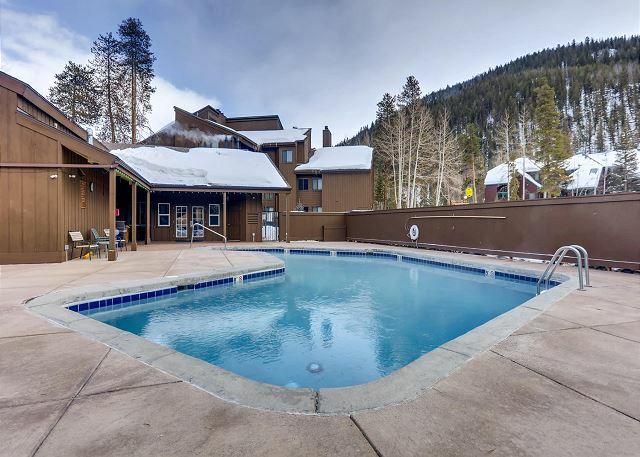 This 1,049 square foot 3-bedroom, 2-bathroom top floor condo sleeps 11 and features a large great room with separate living and dining areas, vaulted ceilings and a wood-burning fireplace. It has updated flooring, kitchen and bathrooms. 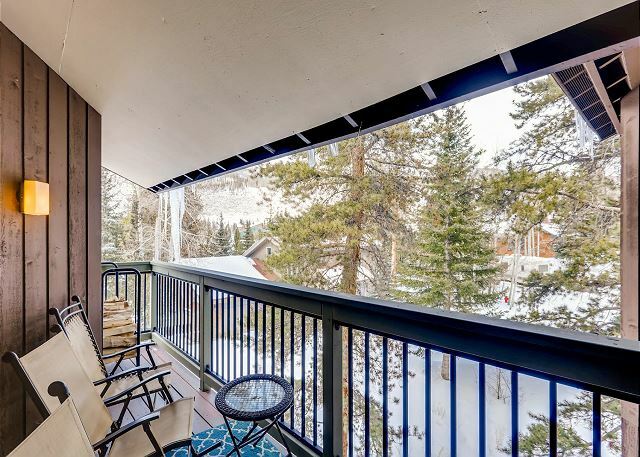 The private balcony is nestled amidst trees and offers mountain views. 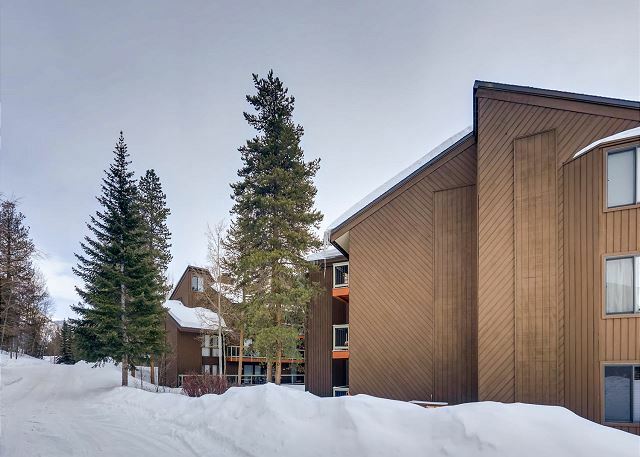 The location is ideal – it is at the end of the shuttle line, which brings you to Keystone’s Mountain Home lodge and chairlifts in less than 5 minutes, yet just far enough away to ensure peace and quiet. 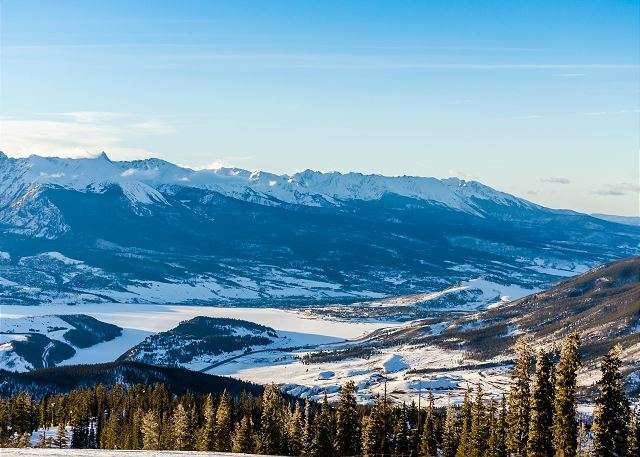 The location is also minutes from world-class skiing in A-basin, Breckenridge, Copper Mountain and Vail. 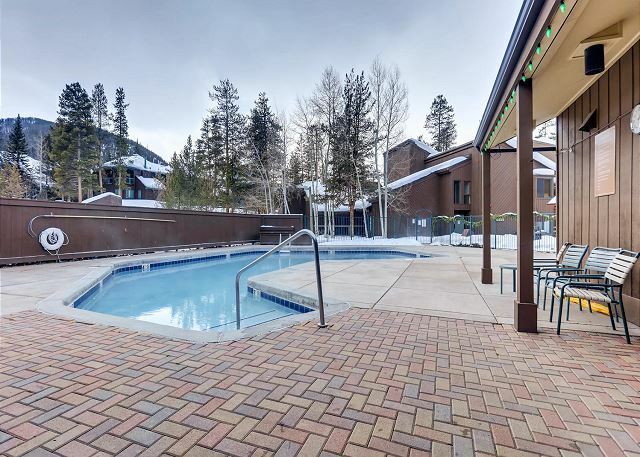 The heated outdoor pool and indoor hot tub are located just outside the home. 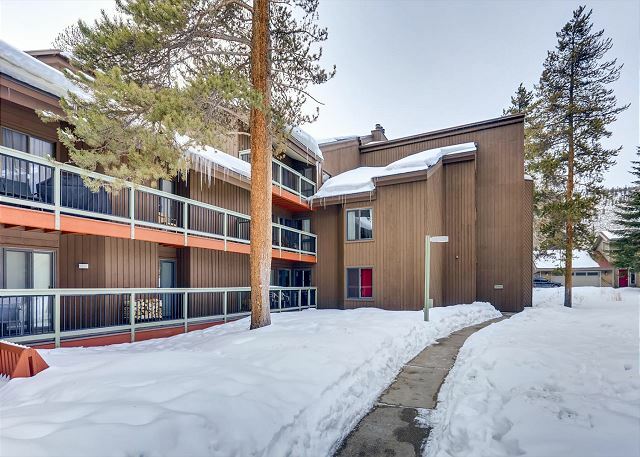 There are two large private ski lockers located on the main level of the condo building, making it very easy to drop off and store your gear. The large entryway has a bench and mounted hooks. 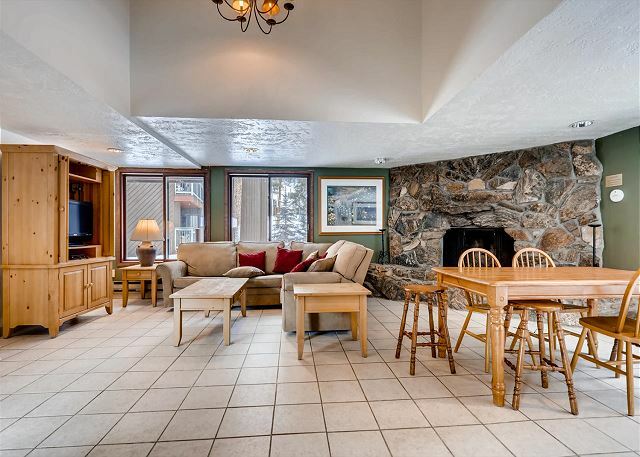 The living area features vaulted ceilings and a large flat screen TV above a wood-burning fireplace. There is a queen-sized sleeper sofa. Just off the living area is the private balcony with a grill. The large hallway closet has DVDs and games and extra sheets and blankets. The kitchen is fully stocked with all the essential cookware and tableware to make a meal away from home and features granite tiled countertops and black appliances. The dining area comfortably seats six with two additional seats at the breakfast bar. 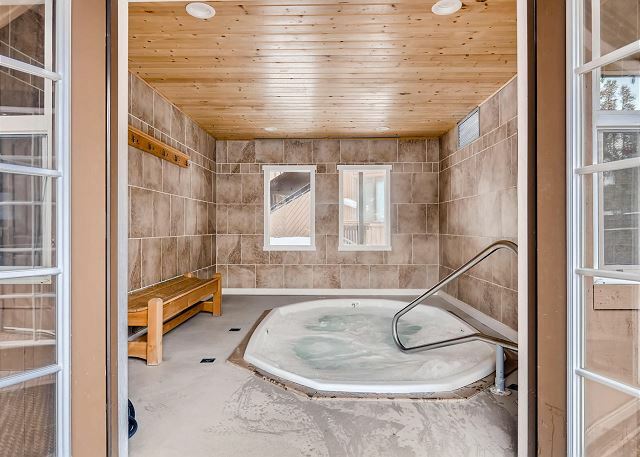 The first of two full bathrooms is just off the main living area and features a single sink vanity and a shower/tub combination. 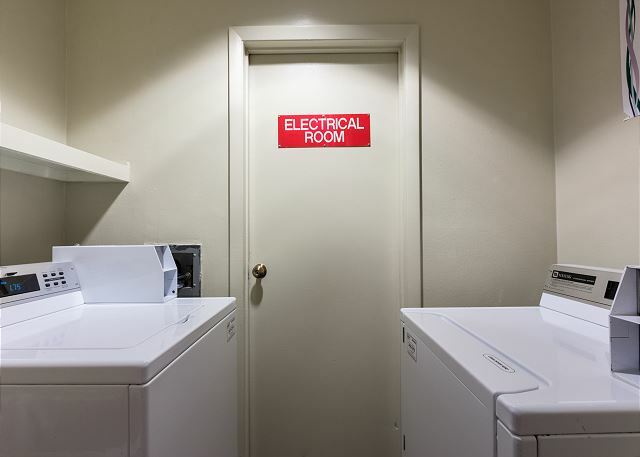 All bathrooms are stocked with towels and an initial supply of toiletries. The master bedroom features a queen-sized bed, a flat screen TV and a large comfortable window nook with a great view of the trees. The en suite bathroom has a single sink vanity and a shower/tub combination. The first guest bedroom features a large twin-over-queen bunk and its own access to the private balcony. 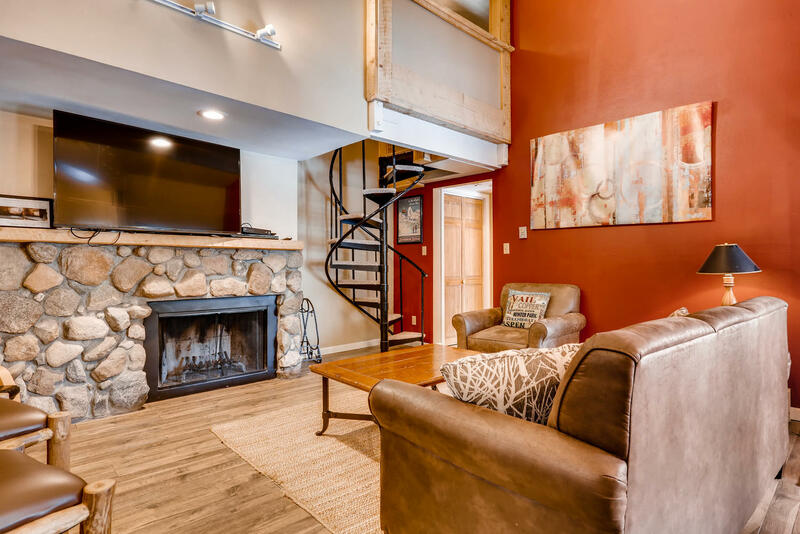 The second guest bedroom is in the loft and can be accessed from the main living area by a spiral staircase. 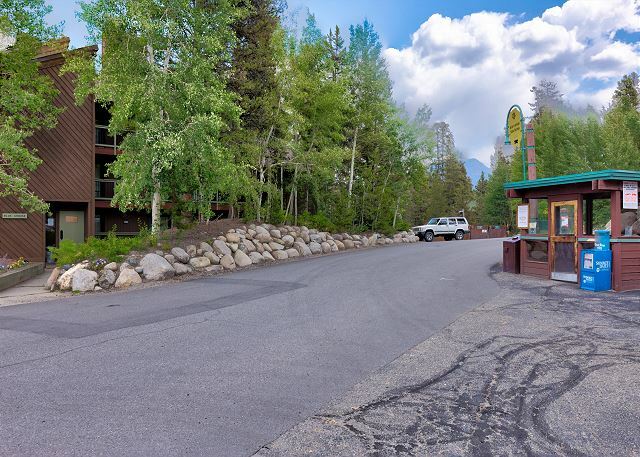 It currently has two twin-sized beds and after May 28th will function as a large separate living area with brand new carpet, a twin bunk bed, full futon, and a flat screen TV. 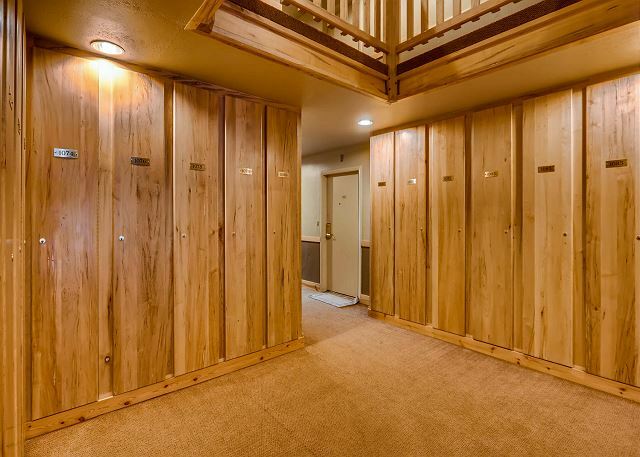 A pack ‘n play for the little ones and baby gates to block off the staircase are also provided by the homeowners and are in the closet.